The December birthstone Claddagh ring has a beautiful heart-shaped blue topaz CZ stone and the Sterling silver band has the words; Love, Loyalty and Friendship etched on the inside of the band. 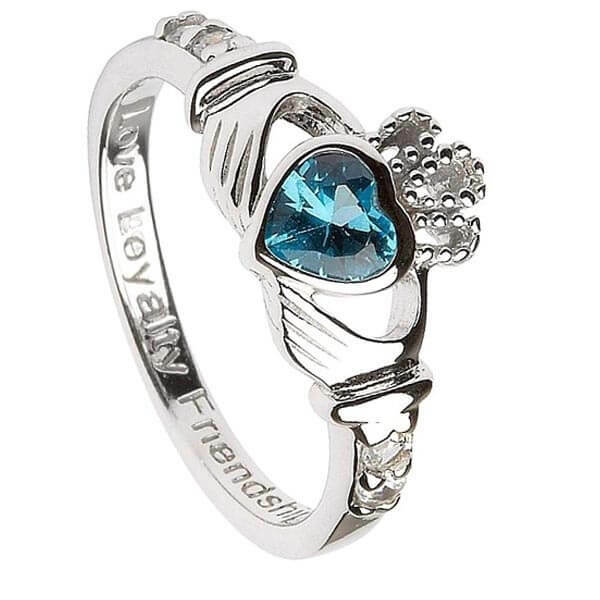 These are of course the three core values the Claddagh ring has always represented. 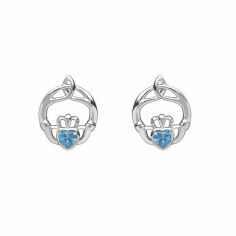 Blue topaz is also thought to represent creativity and inspiration, a beautiful gift for the woman in your life. Service rating : I received a personal email to assure that my order would be correct, it felt great to know the amount of care going into my gift! 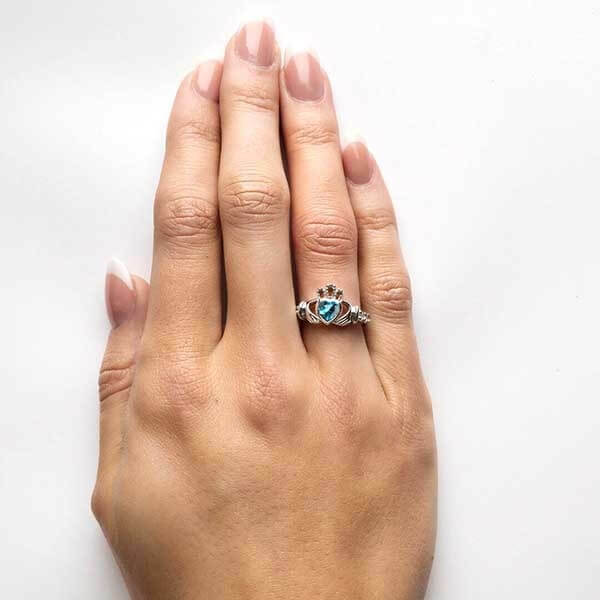 Product : The ring is beautiful and my girlfriend loves it! Service rating : Great quality, and perfect customer support and contact. Not a single complaint, shipped fast and was packaged very well. I am pleased with my ring .Thank you again.